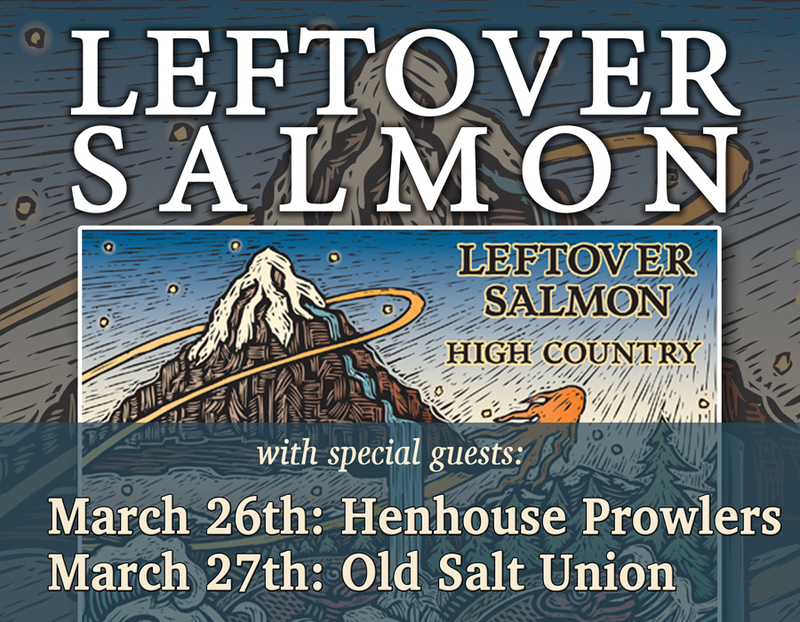 LEFTOVER SALMON – Two Nights! 3/27: with Old Salt Union — Doors 8pm, Show 9pm, 18+ Only — SOLD OUT!! If Leftover Salmon had never played another note after leaving the stage in 2005, the legacy would have been secure; the members’ names etched in the books of history. But today, more than two decades after Salmon first took shape, the band has a new album, Aquatic Hitchhiker, due May 22 on LoS Records, a new banjo phenom named Andy Thorn, and a new lease on an old agreement. Leftover Salmon is officially back.